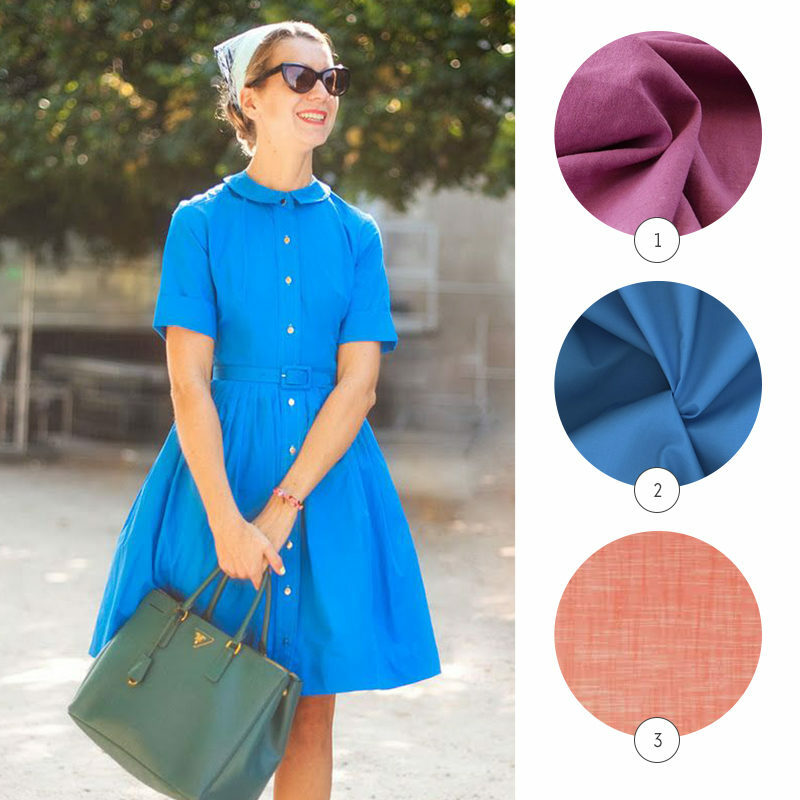 Last week, we shared five ideas for creating a classic and modern Penny dress. We looked at how a simple fabric choice can completely change the look of a dress. In this post, we are going to dive a little deeper and look at some specific fabric from a few of our favorite fabric stores. Penny was designed for lightweight and medium-weight woven fabrics. 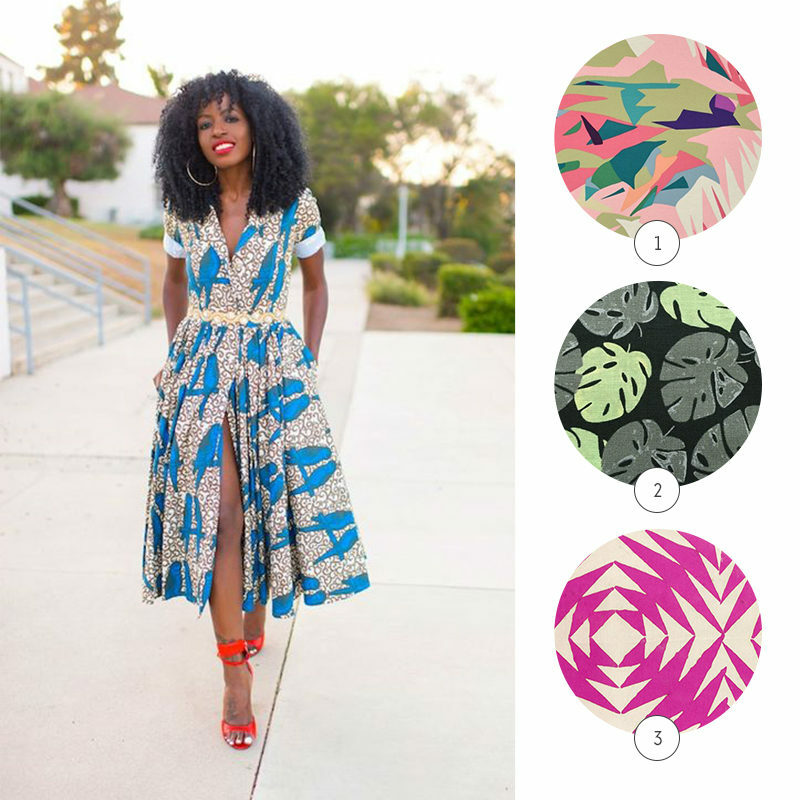 Lightweight fabrics will result in a softer drape in the bodice and skirt, while medium-weight fabrics will give your skirt a little more oomph and your bodice more structure. If you choose to make your Penny in a drapey fabric, like rayon or viscose, be sure to hang your bodice before attaching it to your skirt, and hang the dress before hemming. These fabrics tend to stretch as they settle. Giving them a good trim to even things up will result in a more professional look. Cotton and linen blend in pink from Fabric Godmother is a richly dyed linen and cotton dressmaking fabric. This fabric offers the look and feel of linen with fewer wrinkles. Cambridge cotton lawn in blue from Harts Fabric is a super soft cotton lawn with a smooth hand. Perfect for making a crisp and classic Penny dress. Chambray in peach from The Cloth Pocket offers a pop of color and texture. The slight texture of this chambray makes for a more casual Penny dress. Cotton eyelet in white from Harts Fabric is an off-white cotton with good drape. Add a modern touch to this classic motif by underlining your Penny dress in an unexpected color. 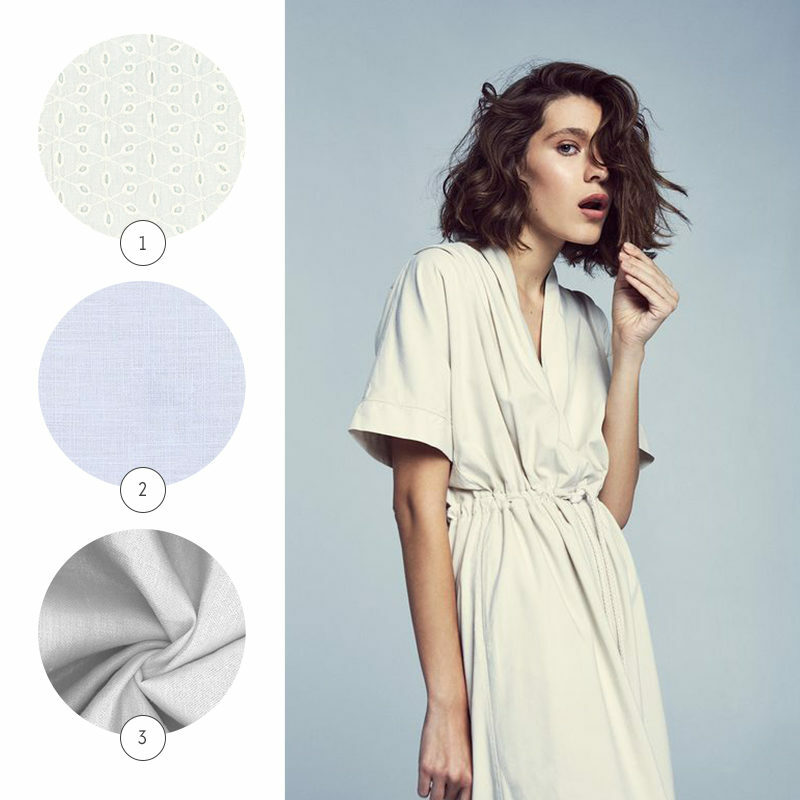 Organic linen in white from the Fabric Store is about as classic as it gets. Nothing says warm weather quite like a white linen dress. Metallic linen in silver and white from Harts Fabric is a metallic dream. This fabric has metallic threads woven throughout, creating a fabric that is one part linen one part unicorn. Printed cotton linen sheeting from Stonemountain and Daughter is a vibrant midweight cotton and linen blend. This abstract print would make a playful Penny dress. Palm leaves shirting from Drygoods Design is a 100% cotton shirting. The block-printed style of this fabric adds texture and interest to this monochromatic print. Batik in fuschia from Harts Fabric is a wonderfully modern take on resist printing techniques. The geometric pattern and bright hue would be a striking complement to Penny’s classic design. Windowpane cotton shirting from Blackbird Fabrics is a lightweight and soft Japanese cotton. 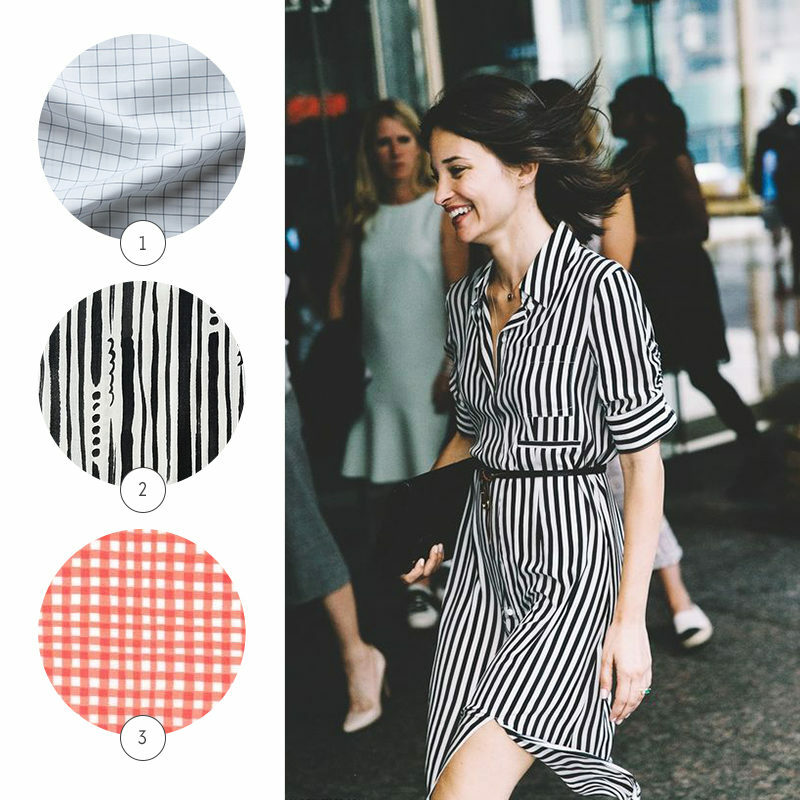 This high-quality shirting and subtle grid would lend a menswear touch to the Penny dress. Painted stripe double gauze from The Cloth Pocket is an unexpected take on stripes. If there wasn’t enough to love about this fabric, it is also double gauze! Gingham in coral from Drygoods Design is a gingham printed quilting weight cotton (yes! you can absolutely use quilting cottons for Penny) this high-quality quilting cotton would make for a classic shirtdress with a twist. Tropical cotton lawn in coral from The Fabric Godmother is a swoon-worthy cotton lawn. This is the exact fabric we used for one of our Penny samples. This fabric has a soft and fluid hand and is an absolute dream to sew! 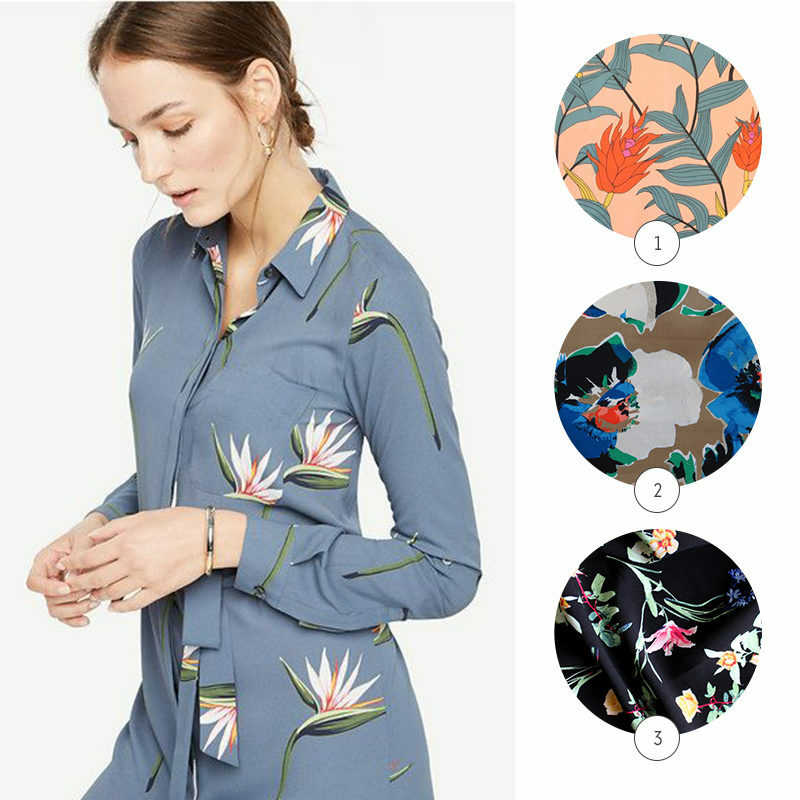 Floral poplin from Drygoods Design is a cotton poplin printed with big bold blooms. The watercolor style of this print lends a softness to the bold colors. Floral poplin viscose from Blackbird Fabrics is a soft, drapey viscose poplin. Penny works beautifully in viscose and rayon, but be sure to hang your dress before hemming. This is wonderful! I’m especially excited about the white ones, because it can be hard to find a white solid opaque enough for a dress like Penny. i love this. I read it when it was first posted. this is so helpful! I’m going to purchase this pattern and wondering how great it would look in a nice lightweight wool fabric preferably pinstripe with a contrasting collar. That what’s wondering in my mind as I write this comment. Thanks. Hi Sheri, you could definitely use a lightweight wool. That sounds lovely!